Widowed.ca welcomes The Granville West Group! 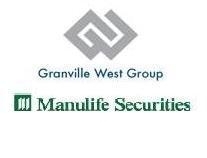 Granville West Group – Manulife Securities Inc.
1425 -1075 West Georgia St.
We are pleased to welcome the Dixon Kelly Group a division of the Granville West Group experts in wealth management in the Vancouver area since 1982. Building client relationships on service, knowledge and respect assisting with building a solid financial plan.